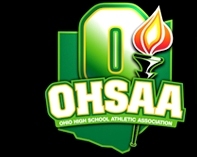 The 104th edition of the boys OHSAA state track and field tournament and the 37th annual girls OHSAA state track and field tournament are set to kick off June 3rd at the Jesse Owens Memorial Stadium on the campus of the Ohio State University. The boy’s tournament is the longest-running state championship in Ohio, and the now combined boys and girl’s tournament features two days, six divisions and 34 events. The past few months I have missed traveling to a few road races I usually cover due to my commitment of being on the Granville Village Council. The council has been interviewing people for a new Village Manager the past few months. Hopefully, I will be able to get to a few road races soon. The current issue of RUNOHIO was mailed out on May 5th. The Mid May – Mid July print issue of RUNOHIO is now at your favoriterunning store. Stop by to get an issue. RUNOHIO – how do you want to keep up with the Running News? RUNOHIO has numerous ways for you to keep up with all of the running news in Ohio as well as surrounding States. The print RUNOHIO has been providing you with running coverage for over 23 years in Ohio, West Virginia, northern Kentucky, eastern Indiana, western Pennsylvania and southern Michigan.